'Land & Sea 2' © 2018 is acrylic on paper mounted on wood panel. 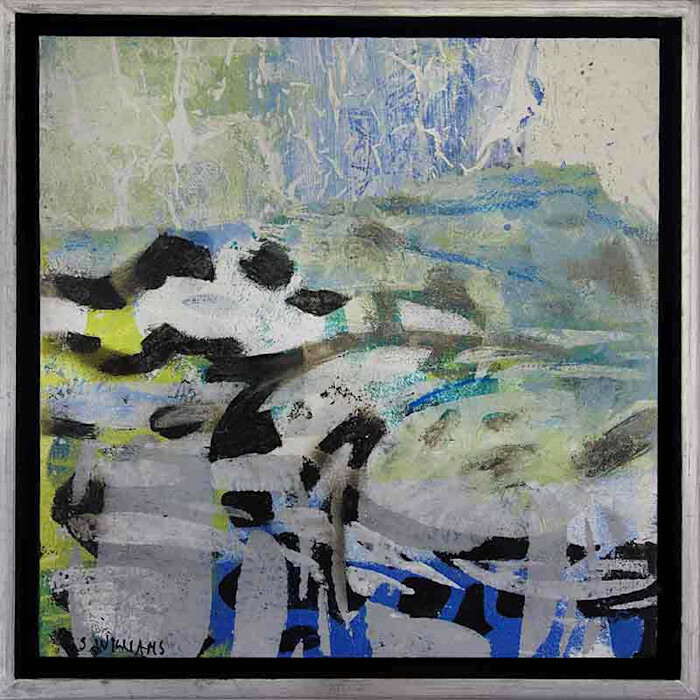 Float-framed in wood, it measures 9 x 9 x 1.5 inches (23 x 23 cm) including frame. Ships securely in a box ready to hang.